Decorated Mantel: Are You Ready for Valentine's Day Tomorrow? Are You Ready for Valentine's Day Tomorrow? Here at my site I share a pattern for making these fun bags from craft paper. The arrows are made from straws, and the felt hearts are pre-made hearts from a craft store. 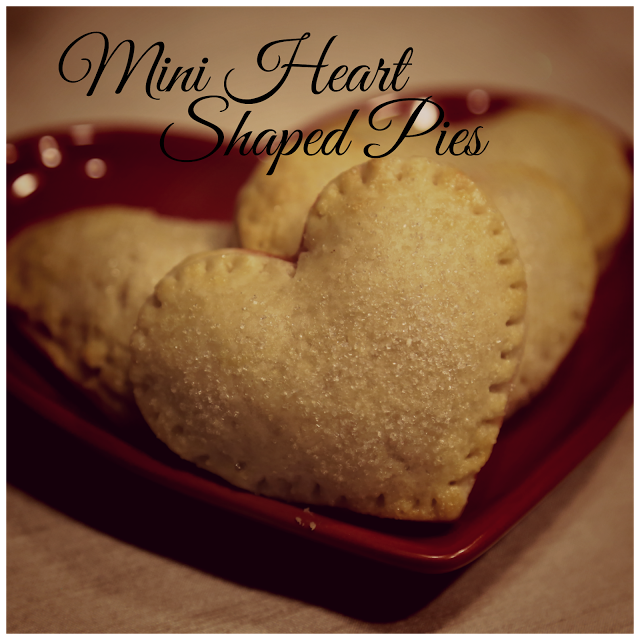 These delicious mini strawberry pies are as fun to make as they are delicious to eat...and they are really delicious!!! The perfect Valentine's dessert - with or without a scoop of vanilla ice cream! 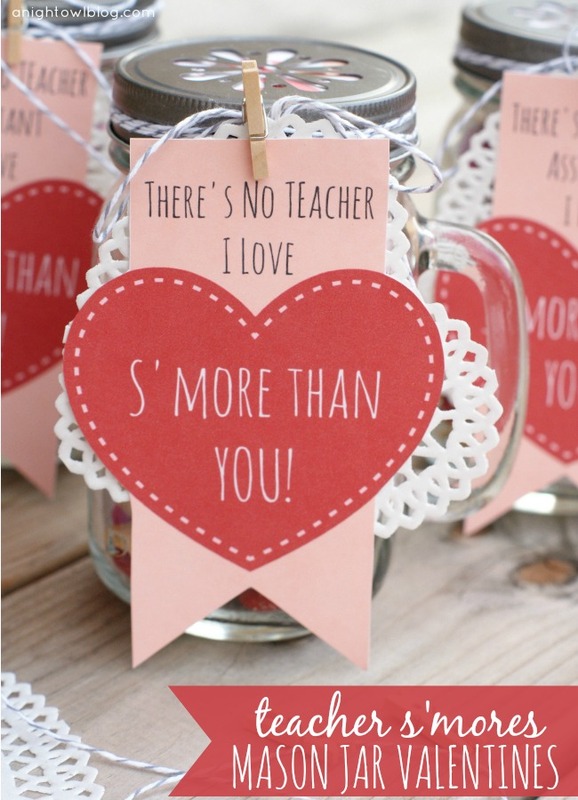 Kimberly from A Night Owl blog shares a cute idea for sweet treat any teacher would love, plus she has made it easy by providing a free tag to download and print. Such a cute idea! 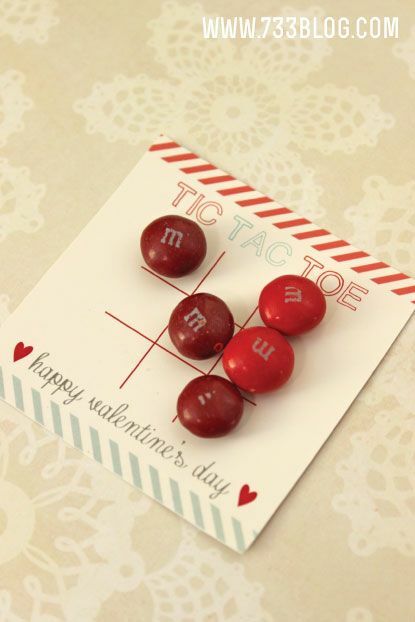 And, she gives you a non-teacher option so can make this tasty Valentine for all of your favorite Valentines! 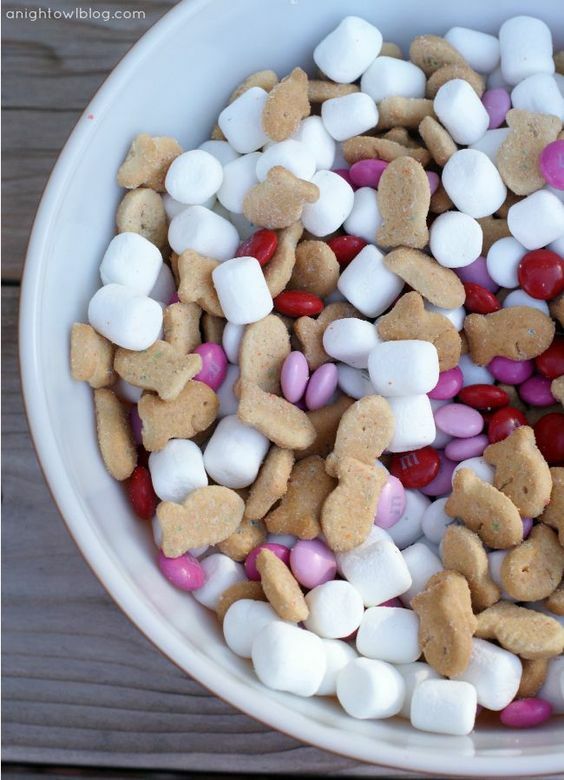 I often make white chocolate popcorn this easy way, but I love this idea by Kellie with Nest of Posies of packaging it up so cute as neighbors' gifts for Valentine's Day! What a sweet gift idea! There's nothing better than peanut butter cookies and chocolate...ohhh yum! 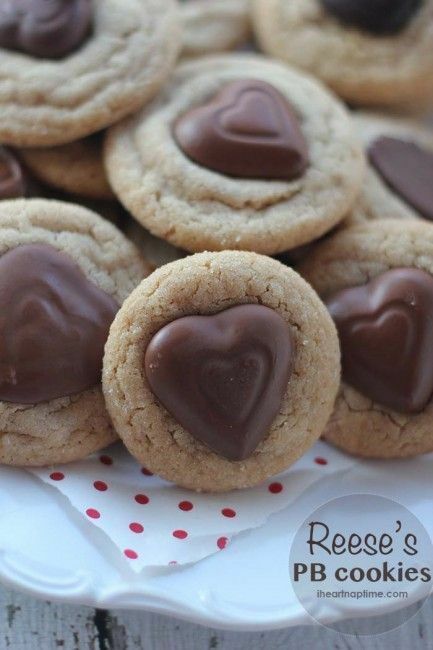 Use your own delicious PB cookie recipe and add a Reese's heart chocolate after you remove the cookies from the oven. Or, check out Jamielyn's recipe at the link above. This is a fun and easy way to add a little love to your dessert for tomorrow! This is one of the more darling ideas for a Valentine's card I've seen. 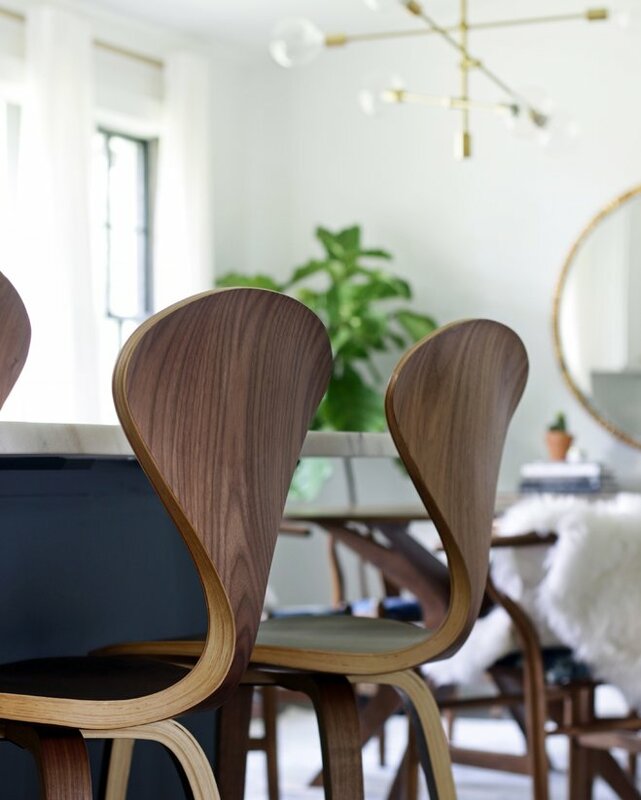 Kim, at 733 Blog, makes it really easy for you with a free printable. 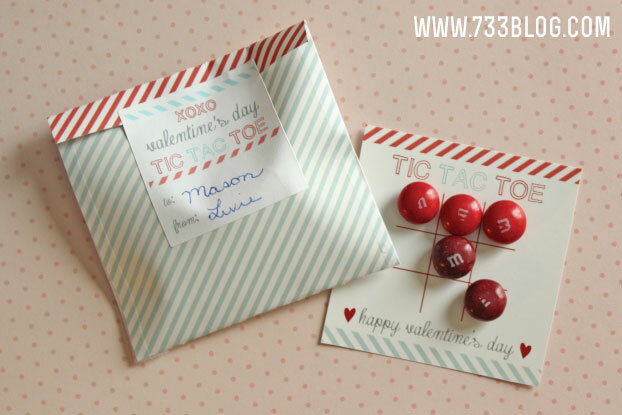 You can put the card and M&M's in a small plastic bag, or she also provides a free printable for a darling envelope! How cute is this??!! 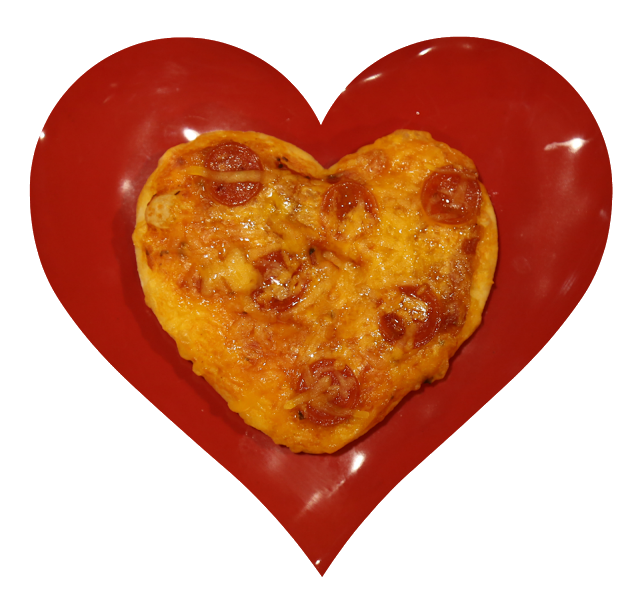 And just in case you need an idea for a really fun and yummy idea for dinner that the family will love making right along with you, try my Heart Shaped Pizzas made from Rhodes Dinner Rolls. No need to stress - I've got you covered! What a fun night!